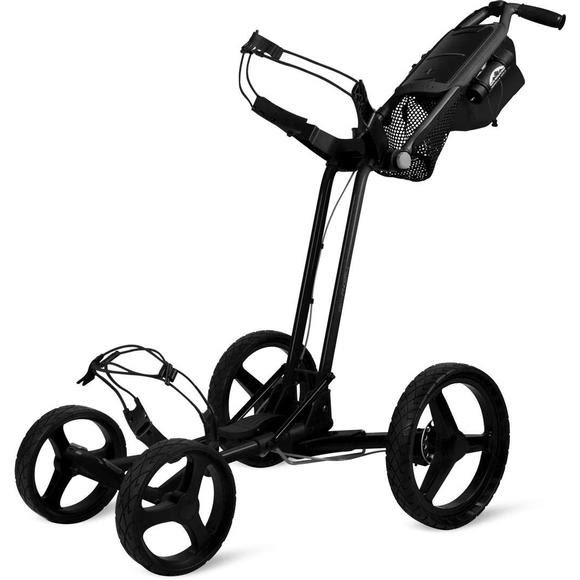 Pathfinder 4 is the new generation of Sun Mountain Sports' Micro-Cart®. It folds in two simple steps and has an even smaller folded footprint. New upper and lower bag brackets nest your bag in the cart and work equally well for cart or stand bags. Pathfinder 4 is the new generation of Sun Mountain Sports &apos; Micro-Cart®. It folds in two simple steps and has an even smaller folded footprint. New upper and lower bag brackets nest your bag in the cart and work equally well for cart or stand bags.